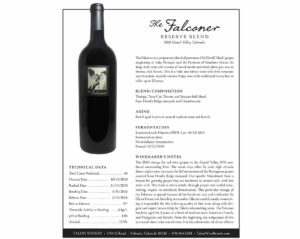 Talon Winery is one of three brand labels marketed by Talon Wine Brands. Its lineup is fairly broad, composed of 13 different varietal types positioned solely within the premium segment and priced at $15-$17 per bottle. Talon’s core line competes in the premium segment. The brand represents sound, but not extraordinary quality; certainly good value, particularly among competing local wine brands. Working with Talon, we identified an obvious need to elevate the brand in order to provide higher margin growth opportunities and help establish leadership within the wine industry. For a brand to be successful, and also be sustainable long-term, it must have a point of difference, and that difference must meet a real need and provide benefit. That’s hard to do in the wine business among the many thousands of domestic and global brands, many of which are well-positioned and have healthy and enduring consumer franchises. Our approach with Talon was to “elevate” the brand, first in terms of much needed design and packaging improvements to the core line, and then in terms of broadening appeal to new, higher margin consumers through segmentation. Our solution was a new line of luxury wines, priced at $30-$65 on the shelf. These wines would have elevated quality and complexity, and very limited production. Strategically, this luxury segment would provide incremental and higher margin profits, but most importantly, provide a “halo effect” for Talon, improving company image and leadership with the trade. Since 2010, the winery had been barrel aging a limited supply of “Old World” grapes, which it characterizes as “mixed blacks”. 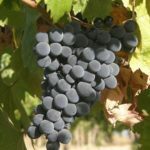 These varieties are typically Port grapes, known for their complexity and aging potential. The resting wine was dark, bold and robust. It would easily compete among leading luxury red wine blends. The wine’s bold taste begged for a bold approach, but also something confident and strong. We started with the brand story, some of which had already been lived and told. You see, the winery’s CEO is fascinated by birds of prey. His hobby is falconry. 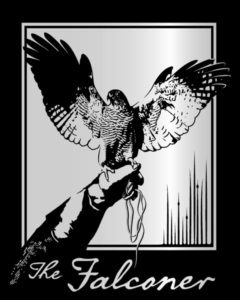 So, it was a short flight for us to come up with its unique brand name: The Falconer. But what should the label and the package evoke? We opted for a bold and masculine look true to the brand’s positioning of ageless strength and boldness. The Falconer. $65 and big, bold and luxurious. The label itself would be an Old World woodcut design: small, squarish and tactile, with embossed texture. And it had to be black, just like the wine in the bottle. For design, a strong gloved hand and preying hawk with expansively outstretched wings. The bottle, well, it had to be substantial, and convey bold richness. We chose a Claret shape bottle that weighed in at 1200 grams, a beast of a package at nearly three pounds, and of course, jet black. The bottle is tall, a perfect metaphor for this now elevated brand. Does the brand deliver…in other words, is the quality in the bottle? Without a doubt, we can boldly and confidently assure. Since its introduction, this limited release reserve wine has been featured on wine lists of several fine dining establishments, and is also stocked by a select number of retail bottle shops. We should know, because Brandwerks drove and aided its selling efforts, both in the market calling on the trade, and also through our work creating communication and selling materials. With the brand now successfully segmented and elevated, Talon Wine Brands has established its leadership and has helped change quality perceptions of the Colorado wine industry.